Our first event of 2016 Hampshire Event Catering in Palmerston Road, Southsea on 6th March (Mother’s Day) this was a good chance for us to check out our new setup and our new grill as well as experiment with Tiger Buns which we have been thinking about moving too for a while now. So we arrived at around 8pm and set up the Grill was fast to light and we are very happy with our new addition to The Meat Thief Setup. The day started steady and got busy at around midday and gave us a lot of time to play around with the setup and work out what can go where. With this being the first event of the year we also had a lot of equipment to get out of its packaging and use for the first time. We have been busy recently advertising for weddings and event catering in the Portsmouth, Hampshire area and so far we have around 10 booking for the summer for birthday catering and wedding catering. 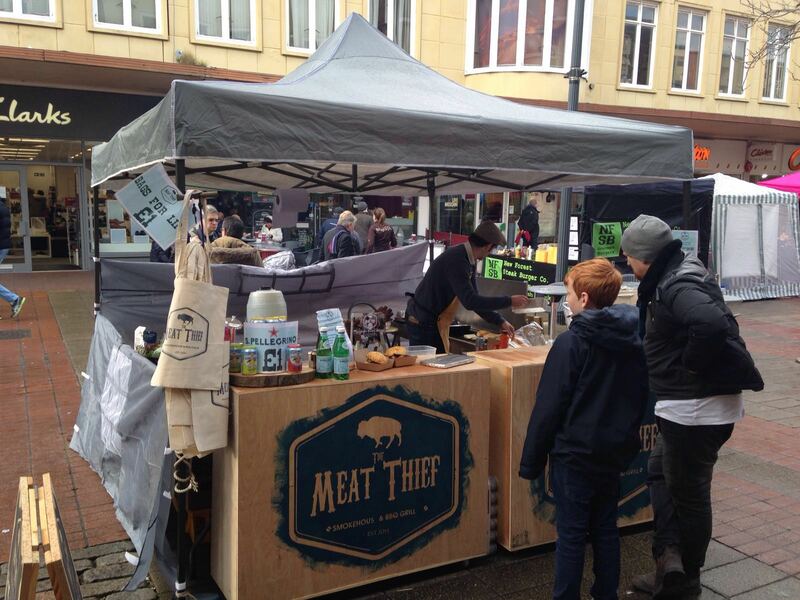 So if you are looking for The Meat Thief to cater at your up and coming event get in contact soon as the summer is nearly here and we are booking up fast for all events. We will not be at the Palmerston Road event for April and May as we have other events however at the moment we are free for the first weekend in June so we shall be down there again unless we have a birthday or event to cater for. All in all our Sunday event was not the busiest event that we wanted however this was probably due to the fact that it was Mothers Day and the weather was not fantastic however we used this to our advantage and managed to have a great day and meeting loads of people from last year who all came along to have a chat with us, and we look forward to Hampshire Event Catering in 2016.